Wow! This book was just stellar in my opinion. I don’t know how the authors continue to produce such quality mysteries time after time. I have read all the Ian Rutledge mysteries and this is one of the best. This one is set in December 1920. Ian’s sister Frances has just gotten married and Ian is feeling at loose ends. He and his sister had become close after their parents’ deaths and now he is feeling a bit of a third wheel. The wedding is over and the couple off on their honeymoon trip and Ian can’t sleep. He decides to take a drive to who knows where to settle down. He is driving down the road and comes upon a car stopped in the middle of the road with a woman standing over a man’s body and her hands are covered in blood. Ian has literally driven into his next case. As he begins his investigation, he lobbies to be given the case as he was the first on the scene. There is some grumbling from other quarters, but Ian does land the case. He questions the victim’s acquaintances and family. He comes away with two very different pictures. His acquaintances and friends reveal a well-liked man with no enemies. His mother calls him a killer. Ian can’t understand such hatred of a mother for her own son, especially one who returned safely from the war. Another man is found murdered and he too apparently is well-liked with no enemies. What is the connection between the two men? Ian really must dig to find this answer and it is taking too long. Another murder is soon reported in a nearby village. Ian realizes that it is connected to his case as the victim was known to have contact with the other two victims after a fashion. Ian is dogged in his questioning again and again of certain people who had contact or knowledge of the victims. He questions until someone reveals a small detail that leads to another detail that breaks open the case, but he must have proof and that might very well cost him. 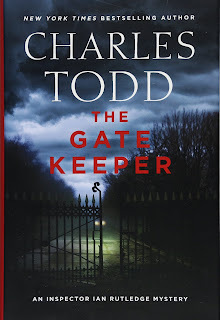 This is one of my favorite mystery series and I eagerly look forward to the release of each book. The writing is descriptive and puts me right there in the story. Ian is not without his own struggles, which makes him so much more human and not just a character on the page. I would recommend reading the first couple of books in the series though before reading this one. Those will give the reader some valuable history and background on the main character. Readers also will enjoy another series by this author featuring Bess Crawford, a nurse during the First World War. 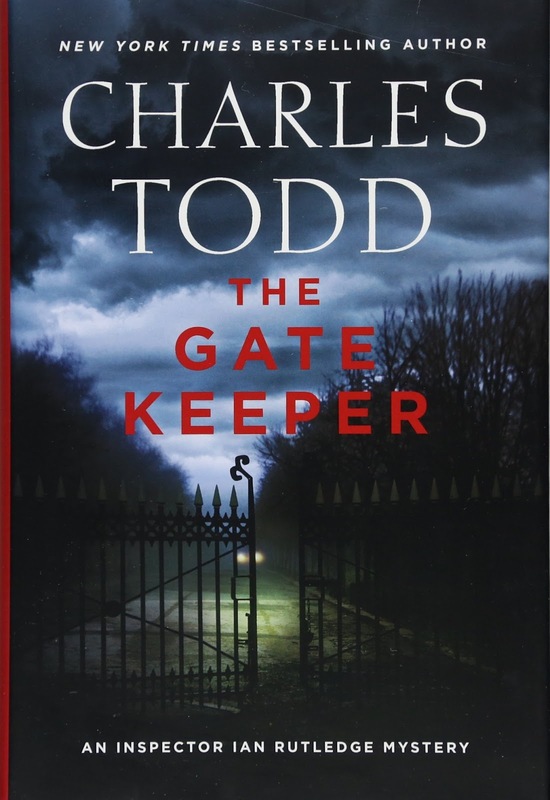 Thanks to the writing team of Charles Todd for another excellent Ian Rutledge mystery!